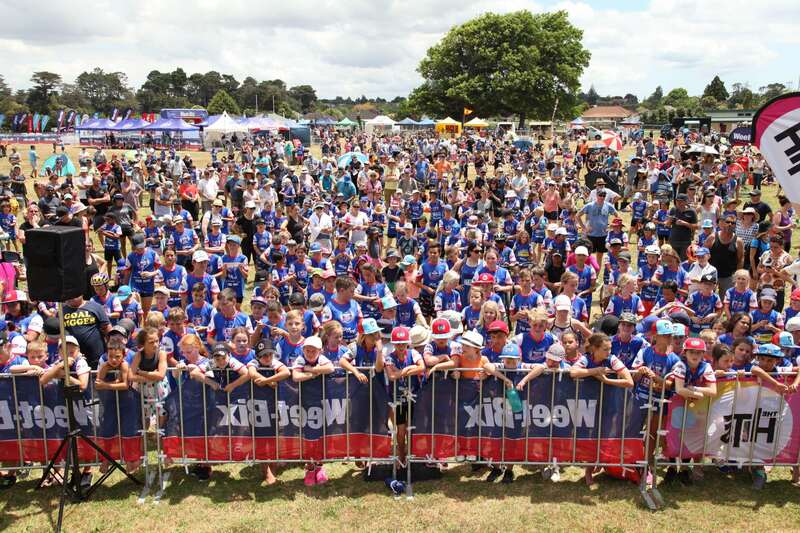 The Central West Auckland Weet-Bix Kids TRYathlon is located at Keith Hay Park in Mt Roskill. The TRYathlon will begin with the swim leg in the indoor pool at the Cameron Pool and Leisure Centre. The pool is 25m in length with a depth of 1m in the shallow end and 1.35m in the deep end. The Transition area is located on the sports fields in Keith Hay Park. The bike leg is on the paths around Keith Hay Park, and the run leg is around Keith Hay Park. You can download our course map from the Event Day Info tab to see the full routes. The best areas for parking will be announced in our event information emails to registered participants and on our Facebook page closer to the event date. 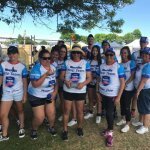 Remember to join your Central West Auckland TRYathlon event page on Facebook! We’ll be posting updates about your TRYathlon in the lead up to your event day that you won’t want to miss out on. NB: One team member completes the swim, one team member completes the cycle and both complete the run. Entry fees vary based on type of entry and discount type. See below for details. Earlybird, Online, Multiple event, Family & School Group discounts are available. On the Day entries are available unless the event sells out prior. 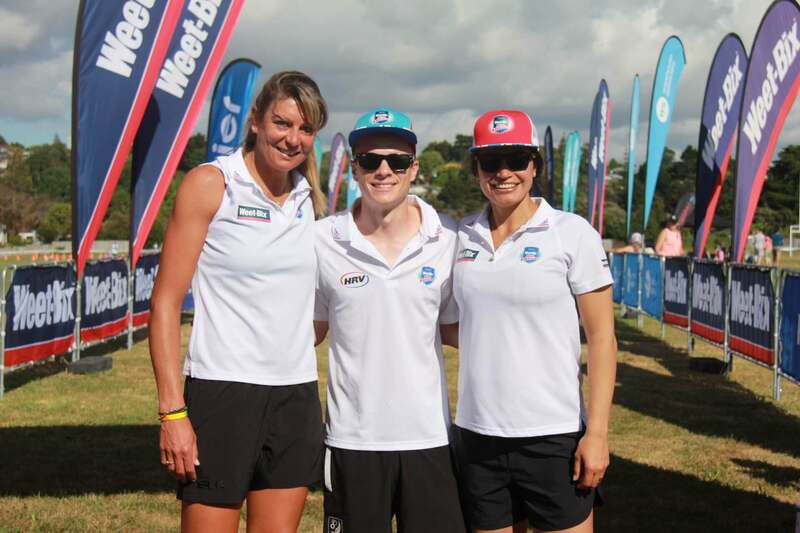 Official Weet-Bix Kids TRYathlon T-Shirt. Official Weet-Bix Kids TRYathlon Swim Cap. 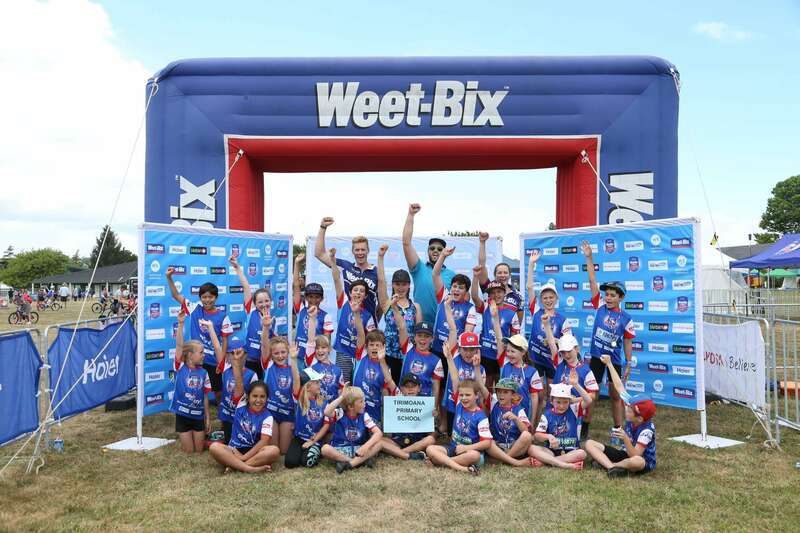 Official Weet-Bix Kids TRYathlon Kit Bag. Official Weet-Bix Kids TRYathlon Finishers medal. Complimentary Breakfast at the Weet-Bix Better Brekkie Breakfast tent. All TRYathletes are eligible for spot prizes (must attend prizegiving). Delivery of TRYathlete Kit by courier if entered by 21 Nov ’18. Earlybird entry closes 8 Nov ’18. Online entries close 6 Dec ’18. 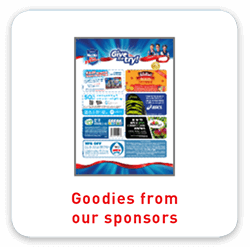 Entries received by 21 Nov ’18 will receive free delivery of Event Kit. NB: Start timings by age will be confirmed prior to event. Schools can register their school and create a School Group. Upon entering, link to your School Group, or if it doesn’t exist ask your school coordinator to create one. Follow the Central West Auckland event page to stay up to date with all the latest news, tips and announcements. Please note that the following discounts are not available during the early bird discount period – the early bird discount is already the best price! Family Discount: Family discount applies when entering 3 or more family members as individual participants. School Group Discount: Receive the school group discount by linking your entry to your school’s registered group. Multi-Event Discount: If your child wishes to participate in more than one event during the 2018/19 Series, you can receive a multi-event discount of $4-off per participant. To help get you TRYathlon ready check out our Get Ready Guide. It includes training and nutrition tips, training plans, how to set goals as well as what to expect on the day. 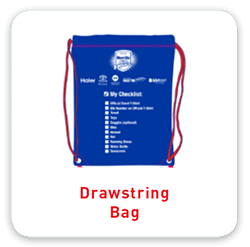 If you need to change the size of your t-shirt, have the incorrect swim cap or something is missing then please come to the Pack Pick Up tent (the blue Weet-Bix) on the event day. Bike with bib number sticker attached to the handle bars. 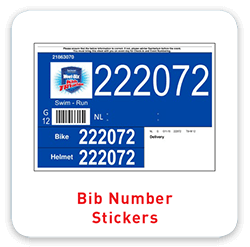 Helmet with bib number sticker attached to the front. Helmets are compulsory for the bike leg. Closed in running shoes and socks. Shoes are compulsory for both the bike and run legs. Shorts to cycle and run in. 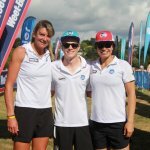 Any medication you may need use of during the Weet-Bix Kids TRYathlon (eg. asthma inhaler). A box or something similar to put all your things in next to your bike. Some way of identifying your bike in the Transition Area. Something bright is a good idea. Swimming togs. It’s a good idea to come to the event wearing your togs so that you are ready to go. Swim cap. 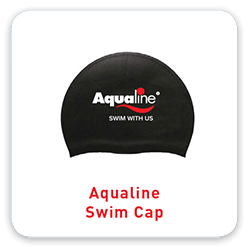 Your swim cap will be colour coded to your age group and will match the colour of your bib sticker. Something warm to wear until you start the swim. 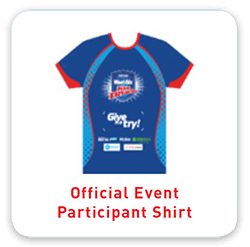 Please note, this cannot be your official event participant shirt as you are required to wear this for the cycle and run leg so it needs to be left with your bike in Transition. Shoes to wear until you start the swim. Please note, these cannot be your closed in running shoes as you are required to wear these for the cycle and run leg so they need to be left with your bike in Transition. Sun cream and a hat. 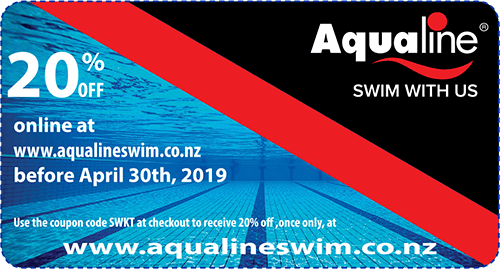 If you need new goggles then head to www.aqualineswim.co.nz. Use the coupon code SWKT at the checkout before Tuesday 30 April 2019 and you will receive 20% off! Terms & conditions apply. 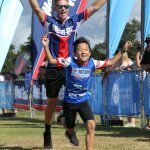 To help familiarise yourself with what happens at the Weet-Bix Kids TRYathlon on event day check out our helpful “How To” videos. Videos include how to Check In, the TRYathlon start, how to transition, as well as what to do during the swim, bike and run legs. It’s a good idea to do some training before the TRYathlon. Following a simple training plan will make sure that when the event day comes around you are well prepared and able to enjoy the buzz of the TRYathlon. Bike Barn stores offer a free bike check. A list of Bike Barn dealers can be found here. Download our Event Day Guide – a step by step guide to the TRYathlon. It includes the event schedule, maps, TRYathlete checklist, event distances and much more. The TRYathlon opens at 7am. You need to be checked in and have your gear set up in transition by 8:15am. Please allow enough time to find a car park, walk to the venue, check in and set up in transition. When you arrive, head straight to Transition Check In (look for the large blue inflatable archway) with your bib number written on the front of your right shin and right forearm, and have your bib number sticker ready to be scanned by one of our friendly Help Team members. Prize Giving will commence once all TRYathletes have completed the TRYathlon. Participants must be at Prize Giving to claim their prize. The Transition area will be opened for the general removal of bikes at the conclusion of the Prize Giving. However, for those wishing to leave the event early, there will be a controlled release of bikes from Transition, once the final participant has leaves Transition to start their run leg. This will be approximately 10 minutes prior to start of Prize Giving. Please check the Central West Auckland Facebook event page and listen to The Hits before leaving home for any event updates. If the weather is not looking great it is very unlikely that the TRYathlon will be cancelled. However, the course may be altered to suit conditions. 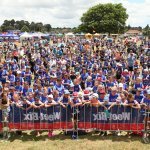 Well done to all of the TRYathletes who completed our first ever West Auckland event! The day was a scorcher, but not even the heat could stop participants from sprinting their way across the finish line to receive their medal. • Tirimoana Primary School – Sanitarium Product Pack (rrp value $300) thanks to Sanitarium. 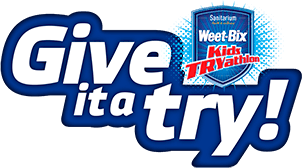 • Kaurilands School – 15 FREE 2018/19 Weet-Bix Kids TRYathlon Series entries (rrp value $562.50) thanks to Sanitarium. 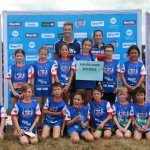 • Whenuapai School – $300 Sports Gear Voucher thanks to Toyota. • Green Bay School – Ecostore Fundraising Kit (rrp $240) thanks to Ecostore. 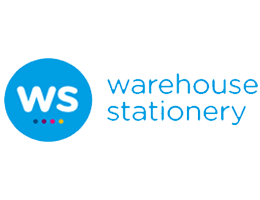 • Oratia District School – $500 Warehouse Stationery Voucher thanks to Warehouse Stationery. 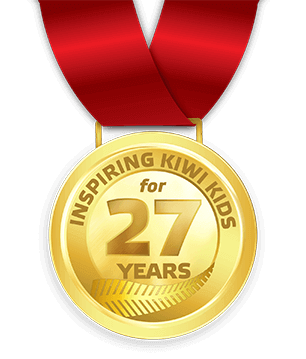 Congratulations to Whenuapai School for registering the largest percentage of their school roll as participants, and to Oratia District School for registering the largest school group into the TRYathlon. Check out some of the photos from the day in our photo gallery, and download your certificate of participation. If you would like to register your interest for the 2018/19 Series West Auckland event, please sign up to our VIP Mailing List at the bottom of this page. 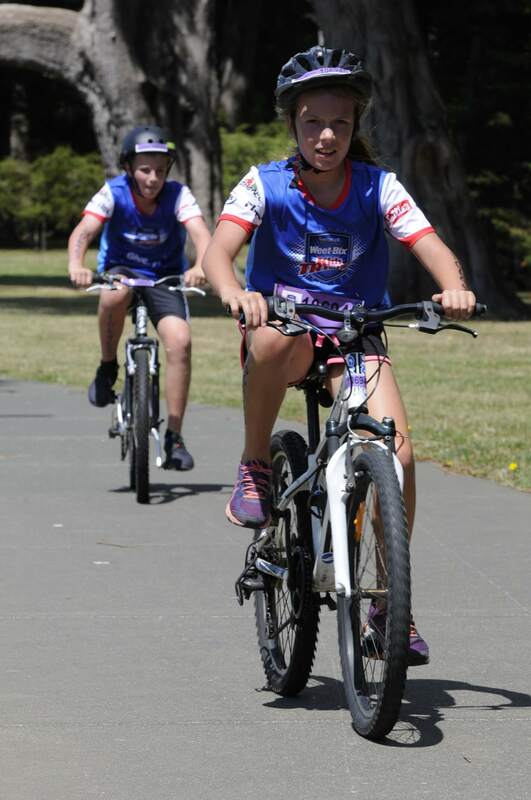 To keep up with event updates, join the Central West Auckland Weet-Bix Kids TRYathlon event facebook page. 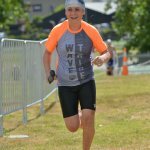 If you need to to get in touch with one of our friendly team you can email tryathlon@sanitarium.co.nz or phone 0800 933 8249 Monday – Thursday 9am – 5pm & Friday 9am – 1pm. 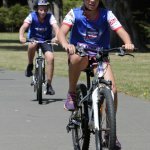 Have a question about the Sanitarium Weet-Bix Kids TRYathlon™? Have a look through our frequently asked questions. 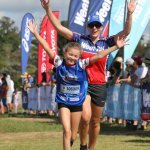 Official event photos can be purchased before or after your TRYathlon from our official event photographers Supersport Images as an Electronic Downloadable Photo SuperPack. 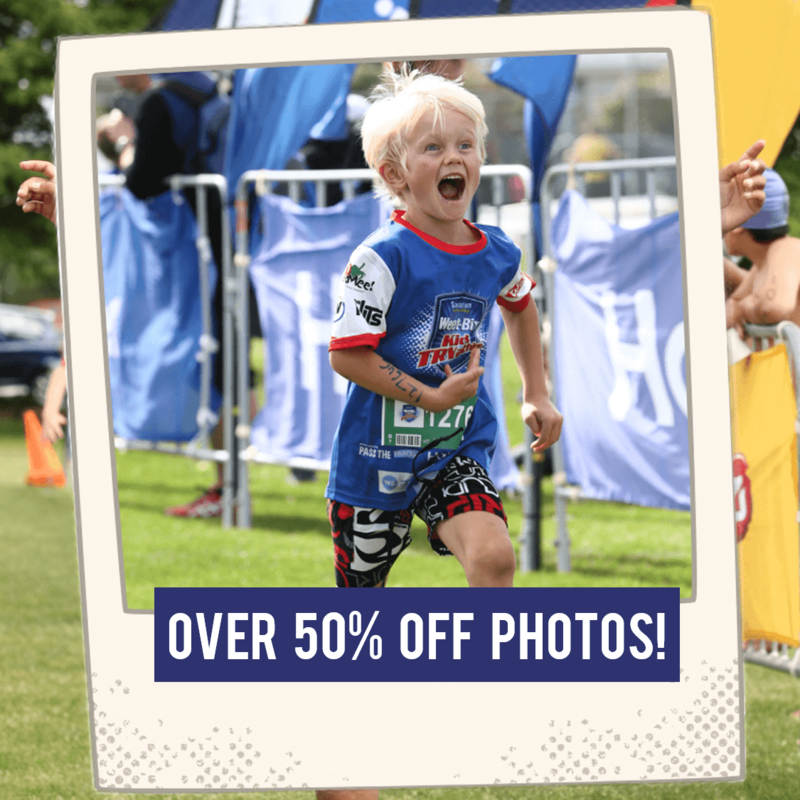 The pack includes 2x full digital versions of all identified images of your child from the swim, bike, run and medals location; all captured by the Supersport Images team. 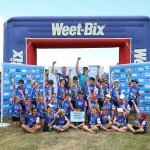 Collection 1: All images supplied with the official “2018 Weet-Bix Kids TRYathlon” border. Collection 2: All images supplied with no border artwork. Purchase your Digital Photo SuperPack when you enter for only $14.50 – a saving of 70%! Click here and submit your email address to receive a unique URL to access your existing registration. Once on your registration summary page, simply scroll down to the Financial Summary and click the green Add Optional Items button. Registration access email links are valid for 20 minutes, but you can request a new access link at any time. 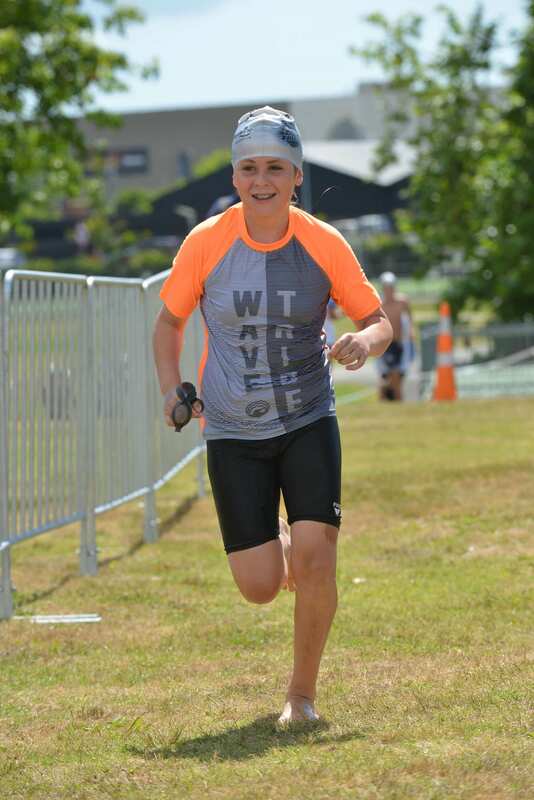 Contact our friendly Customer Services team on 0800 9338 249 or send them an email at tryathlon@sanitarium.co.nz and they can add a photo order to your entry. To download a PDF of the swim map, click on the button below. 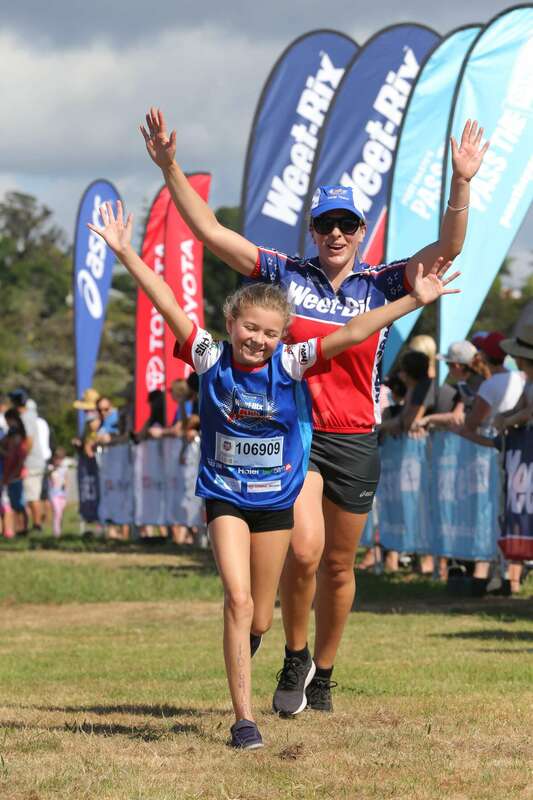 Sign up to receive email updates containing VIP news and discount offers for the Sanitarium Weet-Bix Kids TRYathlon. New Zealand’s favourite sushi company, St Pierre’s Sushi is a family owned business that was established in 1984 in Wellington. 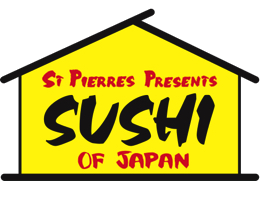 Over the past 33 years St Pierres Sushi has pioneered sushi and introduced new Japanese flavours to New Zealanders. 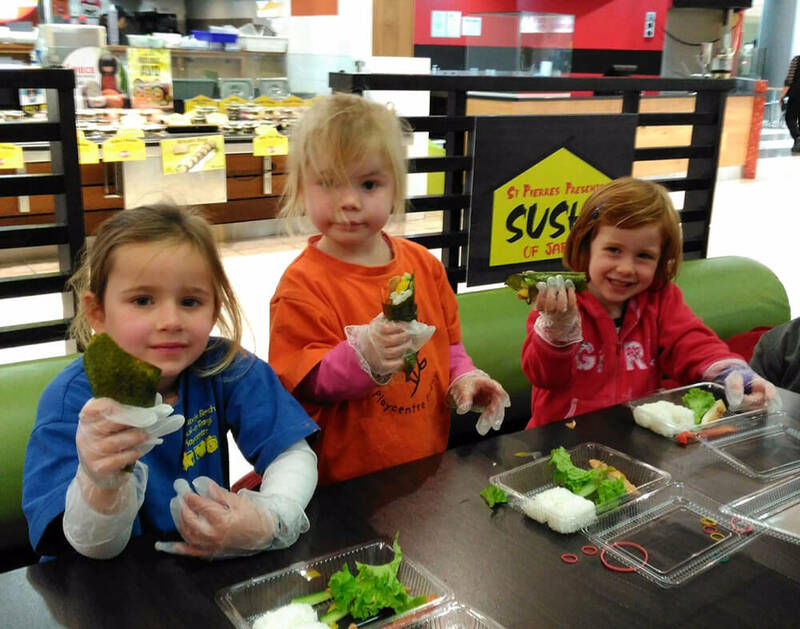 With 54 stores nationwide, St Pierre’s Sushi is a popular healthy takeaway option that’s enjoyed by kiwi’s Of all ages Nationwide. Recently St Pierre’s Sushi has been hosting local kids events, educating children how to roll their sushi and teaching Japanese culture. 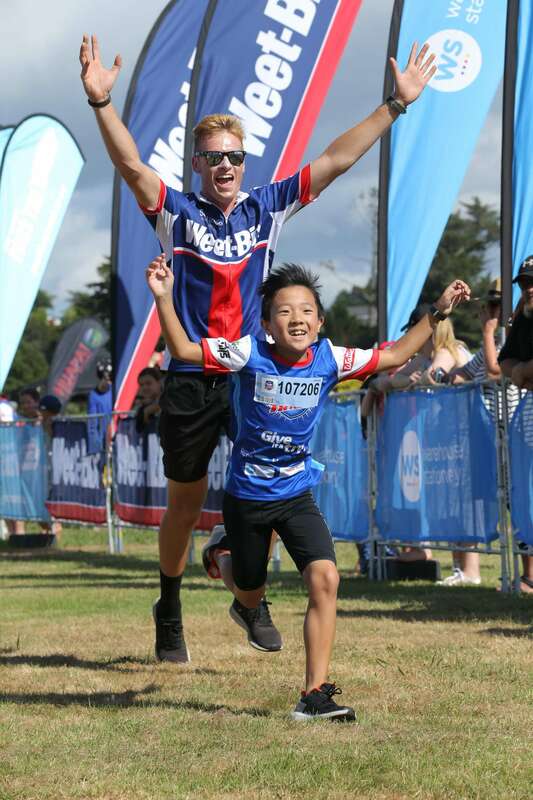 This is the first time St Pierre’s Sushi has partnered with the Weet-Bix Kids TRYathlon and they are thrilled to be apart of such an awesome iconic NZ event. 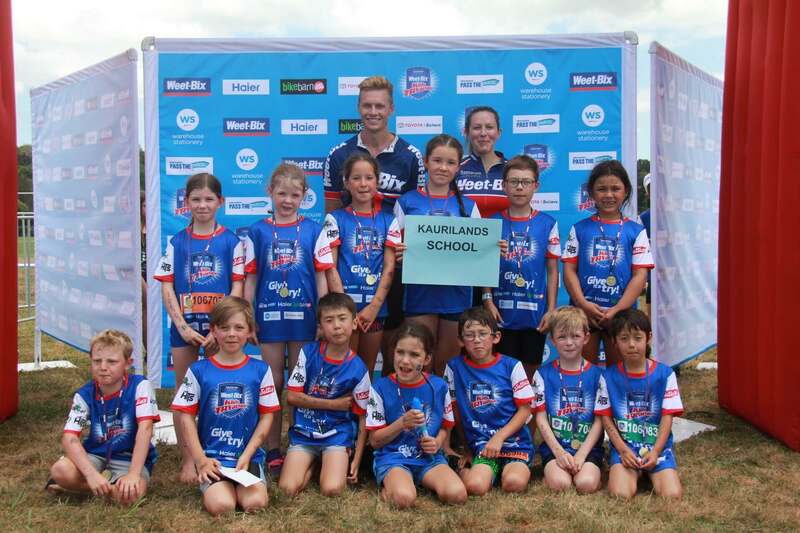 Haier is really excited to be entering a fourth year of partnership with the Sanitarium Weet-Bix Kids TRYathlon. Haier appliances are designed for everyday New Zealand families, providing practical, smart and reliable solutions for your home. We’re here to do the background work, and will keep things ticking while you and your little TRYathletes stay on the move every day. 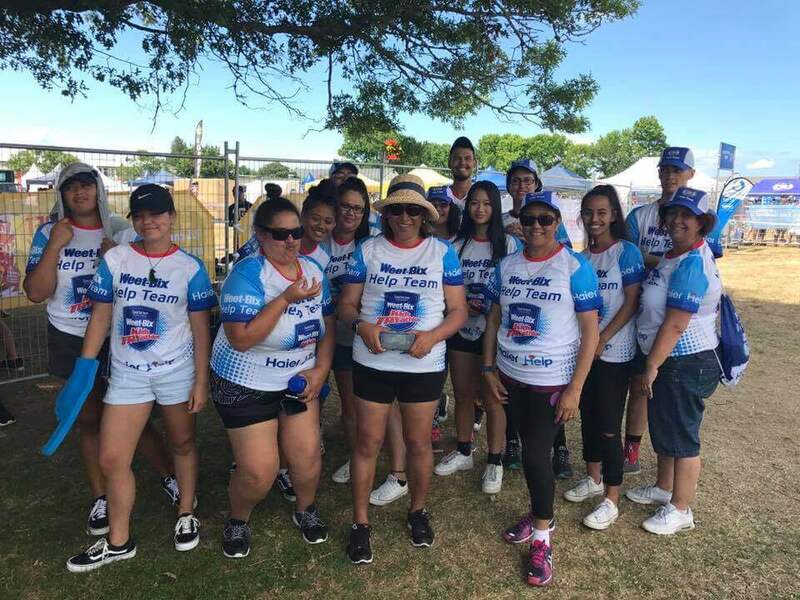 Also, keep an eye out for the ‘Haier Help’ Volunteer Team on event day – they’re the everyday heroes on the event course, there to help and keep things moving smoothly throughout the day. 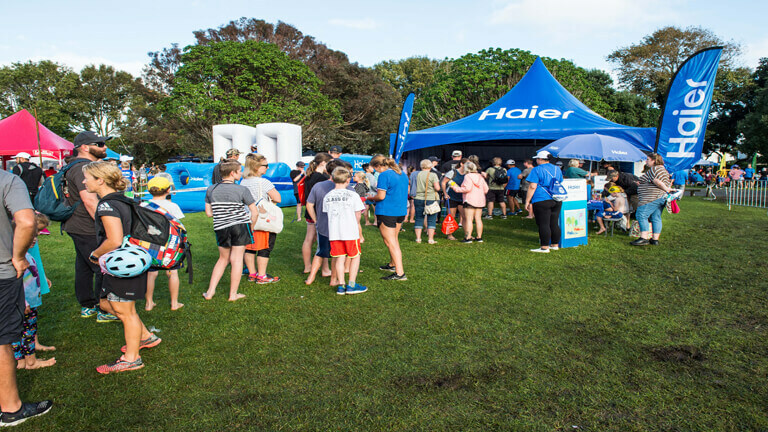 Make sure you visit us at the Haier tent to have a go at the awesome games and competitions we’ll have running. 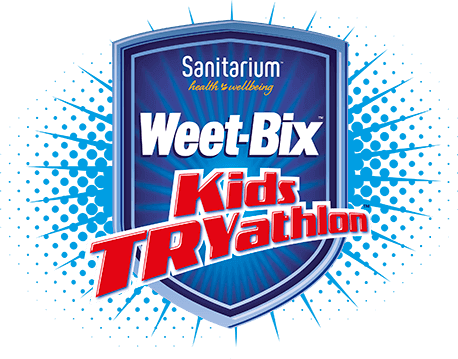 Warehouse Stationery is excited to be sharing in the fun of the Weetbix TRYathlon for a third year. Check out the fun from our event and we look forward to seeing you this year. 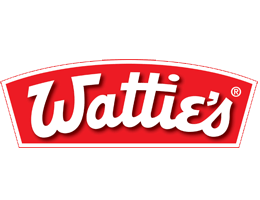 No need to go fancy with Wattie’s Baked Beans and Spaghetti. Use a knife, fork and a plate, but your hands and a slice of toast is just as good. 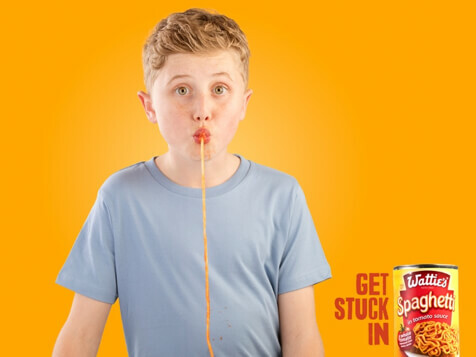 It’s the food we all grew up with, so eat like no one else is looking and get stuck in!